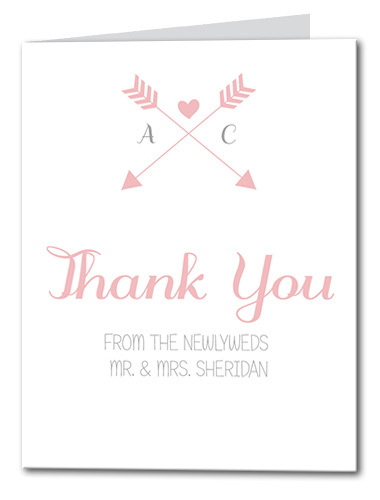 Sweet and romantic, with just the right amount of quirk, our Artistic Arrow thank you cards are a whimsical option for any artful couple. This artsy design is the perfect design to add a little personality into your invitation. Artistic Arrow Thank You Card For the best experience, we recommend personalizing your stationery on a desktop computer.